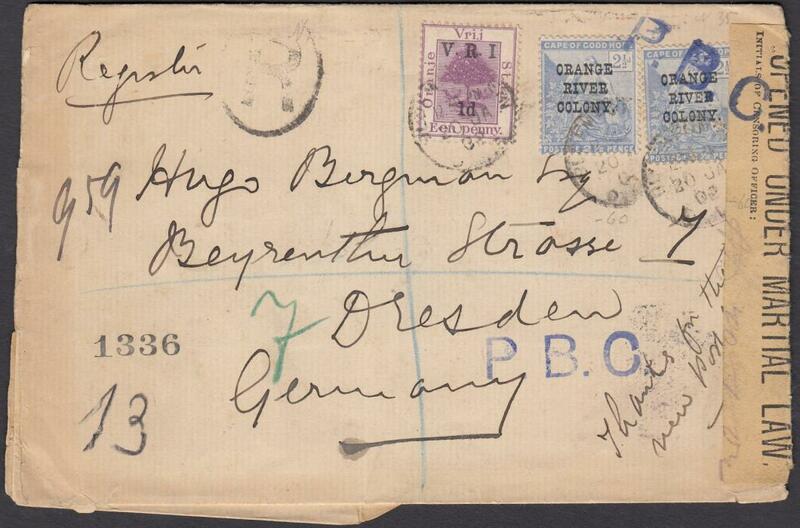 1902 registered cover to Dresden, Germany, franked OFS 1d overprinted 'V.R.I. 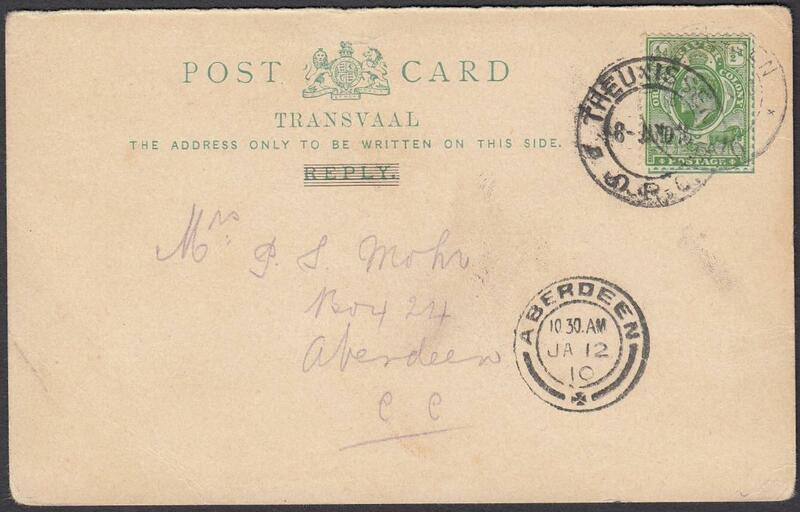 1d' and two CGH 2�d overprinted "Orange River Colony" tied by BLOEMFONTEIN date stamp, blue violet 'P.B.C.' handstamps, one overstriking stamp and tape 'Opened Under Martial Law' label, arrival backstamp. 1910 reply section of an earlier Queen Victoria postal stationery card with image overstruck by �d used locally, tied 'THEUXISSEN' cds. ABERDEEN arrival cds below.